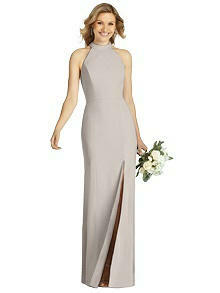 Rush & Super Rush on bridesmaid dresses now available!
. Available to US customers only. 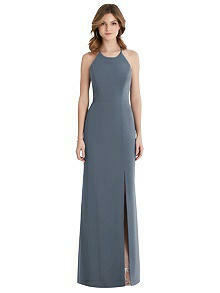 These measurements are for this style only & are dress measurements, not body measurements. To find your size in a different style, refer to the size chart for that specific style. Please note that alterations are often needed for a 'perfect' fit. Cocktail length stretch crepe pencil dress with cascade detail at side front skirt. Colors displayed on your monitor may vary from the actual fabric color. Please view a fabric swatch in person, by ordering a swatch online, before placing your order. This style is custom manufactured. Allow 8-9 weeks for delivery. Plan to receive it at least 2 weeks prior to the wedding. 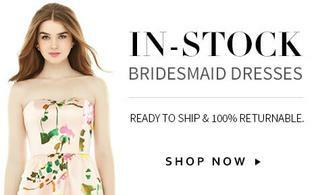 We strongly recommend that you order your dress 4 months before the wedding, or earlier. If your order is ready before the projected ready date, it will be sent out earlier. To inquire about a Rush Order, contact us. Full payment for your order is required when we begin the production of your garment. Your order is binding within 24 hours of placement online. We are unable to change sizes or cancel orders after this time. No exceptions. All of our special order garments are made only after your order is placed, all sales are final. We will accept an exchange should the item(s) received be defective, provided that we are notified within 5 days of receipt of the item(s). Dessy Group is not responsible should an incorrect size be ordered, please be sure to refer to our size chart when ordering. Should an exchange be necessary please notify Dessy Group immediately to request a return authorization. Items must be returned to us in the original condition within 10 days of receipt of said items using the ARS label provided at the time of return authorization issuance. 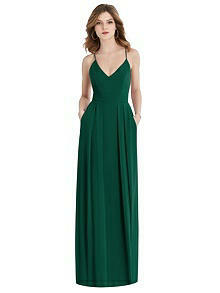 Garments that have been altered cannot be accepted for exchange, and we do not alter dresses for customers. For exchanges, please contact customer support.